SAN JORGE TECNOLÓGICAS builds a chamber capable of recreating the outer space pressure conditions in order to test the most precise mass gauging method until now. The “improved PVT” method aims to obtain the most accurate knowledge possible of the remaining combustible, a pending matter of Electric propulsion motors, crucial not only for the end date prediction of a mission but also for efficient propulsion and station-keeping management. Electric propulsion(EP) is a class of space propulsion which makes use of electrical power to accelerate a propellant: a rare gas (xenon or argon), a liquid metal or a conventional propellant.This is achieved by different possible electrical and/or magnetic interactions. By all means, the ionization of the gas causes an immense impulse in relation to the mass. This leads to an unbelievable fuel consumption reduction of 100 millions times less than classical chemical space motors. For this reason, important space actors as NASA or ESA consider EP a key technology in order to open the gates to new space challenges such as Mars exploration or the conquer of the solar system boundaries. However, this breakthrough technology has still some problems that remain unsolved. One major issue is the difficulty of measuring the amount of fuel left on the tank. Any mistake in this sense can seriously compromise a space mission. Initially, EP lifetime was very limited, fuel capacity didn’t exceed the 350 kg. However, as EP lifetime has increased up to 15 years, propellant tanks have proportionally increased its storage capabilities. Since the propellant is continuously consumed during the mission, it is critical to ration its use and to know the remaining mass in the tank with the best possible accuracy. Scientists of LTU have proposed a new measurement method: The Improved PVT method, based on universal physics and thermodynamics principles, existing TRL-9 technology and telemetry data. This method manages to obtain pressure and temperature information with a minimum error margin. 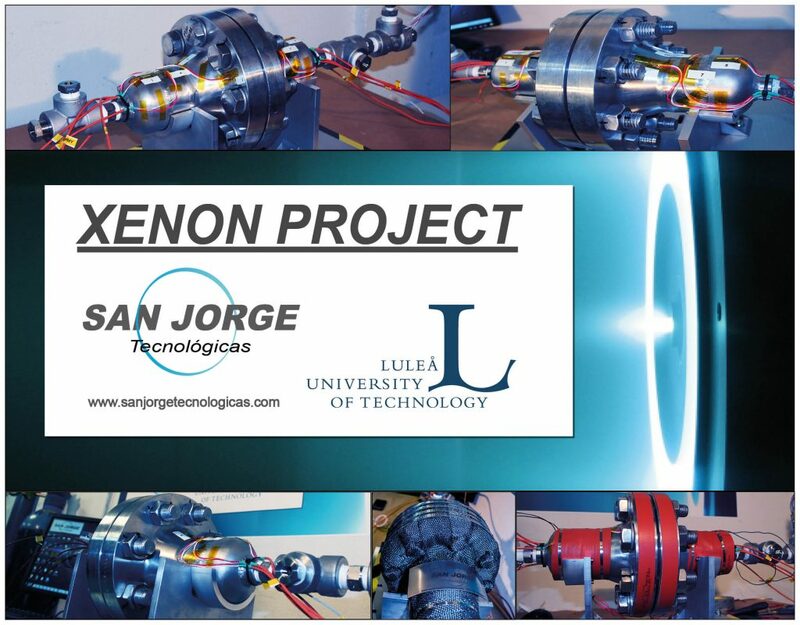 San Jorge Tecnológicas has entirely designed, built and tested an experimental prototype of propulsion tank in order to demonstrate this technology. The mass measurement errors have been proven to be less than a 1%, improving by a factor of 8 the accuracy of the standard PVT retrievals.